Are you looking for cheap wine? Wine that tastes good but has a low price tag? In this article I explore the best options, tips and tricks. Does The Price of Wine Really Impact Taste? Scientific studies all point to the same damning conclusion: professional judges cannot consistently identify "good" wine. When the labels are removed and blindfolds on, no one can consistently tell the difference between cheap and expensive wines. 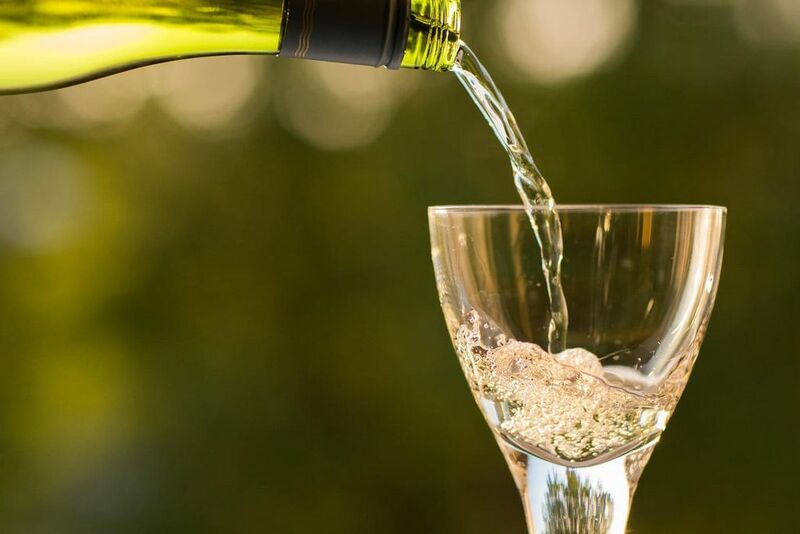 Alex Mayyasi reviewed the academic literature on Priceonomics and writes, "numerous experiments have shown that people will enjoy a table wine and a fine wine equally if they believe that they are both a fine wine. Knowing that a wine is supposed to be good does literally make it taste better." In 2008, The Journal of Wine Economics reviewed the results of 6,000 blind tastings and found that when consumers are unaware of the price of wine, they "on average enjoy more expensive wines slightly less [than cheap ones]." How often do you hear of a discount retailer such as Aldi or Lidl beating a big name in the wine industry to the top spot? (Often). Could you honestly tell the difference between an expensive wine and a cheap wine if you had to? As this Freakonomics podcast revealed, "the most dominant flavour may be the dollars". In this article, I share the best methods to find cheap wine that tastes good. Discount supermarkets Aldi and Lidl are favourites for cheap wine. Aldi offers a large range of wine for less than £5, including Pinot Grigio and Sauvignon Blanc. Some of these are from big brands such as Cambalala and Kooliburra, but there are smaller brands too. In-store, wines are often reduced in price on special offers and it's worth taking a look at the 'Specialbuys' section for limited edition runs of wine (i.e. from a vineyard that can't supply all year). Online, Aldi offers free delivery on cases of 6 bottles. This is a minimum order size (you can't order single bottles - at the time of writing). To have it delivered can be handy as it saves you lugging the heavy box home. Plus, this extra saving means the wine is even cheaper. Lidl also stocks a great range of cheap wine. Many bottles are priced at less than £5, however it is in-store only. You can browse the collection online, and they have a points system to help you navigate the quality. Scored from 0 - 100, wines are given a rating by an in-house expert (what a great job!). Of course, there are other discount supermarkets as well, and online reduced merchants such as Approved Food. These often have a limited supply of wine and the offers vary every day. It's worth taking a look and building your wine cellar slowly as and when the discounts appear. Supermarkets Tesco, Sainsbury's, M&S and others feature wine sales throughout the year. You can pick up a saving, with the most common deal being 'buy six bottles and save 25%'. This is the same as getting 1.2 bottles for free. You can see that Tesco and Sainsbury's very often have the 25% off 6 bottles of wine deal. This also extends to champagne and prosecco. If you're planning on buying a crate, it may be best to wait for this promotion available in-store and online. There are a few golden gems to put in your diary. This is the M&S Wine Sale in April where almost the whole collection is reduced by 30%, and the Morrisons 3 for £12 in November. That works out at £4 per bottle. A method to find cheap wine deals at Amazon is to use our discount finder. This free tool lets you search the wine department and see which have been reduced to a cheaper price. You can set the maximum price you want to pay (usually for a crate of 6 or 12 bottles) and find the discounts. Deal sites Go Groopie and Groupon have one-off deals. Sometimes these are huge, other times there's nothing on offer. You need to sign up to their newsletters with your alias details and keep an eye out. What about places like Majestic Wines and Laithwaites? Based on the data from Latest Deals, these merchants do not seem to offer the best prices. However, there are some tips and tricks to make the most of them and perhaps certain unique features will be attractive to you. Laithwaites offers a wine club (see more options below) where you can get your first case half price. This makes a case of 12 bottles £49.99 instead of over £100. Over 100,000 customers are subscribed and only 800 wines each year 'make the grade'. On the website there's also what's called 'Bin Ends'. Essentially a clearance section, these are wines that have struggled to sell and are now reduced. The discounts aren't huge, but if you're after a crate of 12 bottles you can usually save about £25. Majestic wine is a little more deal-centric in the sense that they always have offers online. However, you won't find any for less than a fiver here. Instead the best savings come from when you're purchasing a crate. The company offers free delivery and free click and collect, as well as a no quibble money back guarantee. You can quite often get some big name labels here for less, such as Moet Champagne. Both these retailers (and others similar) have the great benefit of in-store expertise. Fully-trained staff are passionate and will recommend you a good wine depending on circumstance. However, as I mentioned in the introduction a "reasonably priced wine" has changed in recent years to be more expensive. If you want a bottle for less than a tenner, say so. Subscription wine clubs are also an opportunity to save money. Here you pay a monthly, or quarterly fee and receive a crate of wines to your door. Wine clubs use the purchasing power of the group to negotiate better rates from smaller independent vineyards - normally. For example, the M&S Wine Club is an award winning subscription. You can pay £75 and receive 12 bottles of wine worth £100. This is renewed every three months, which works out to be about 1 bottle per week. These wines retail for £8 - £10 each, but you get them for about £6.33. There's a more expensive subscription too, called the Club Reserva at £99 per quarter with higher quality wines. These are hand picked by sommeliers and you receive tasting notes in every case. You can learn about the wine as you drink it - where it comes from, who made it, and what aromas you should pay attention too. Usually, wine clubs offer instant cancellation, but some such as Naked Wines are notoriously difficult to cancel. If you want to try it, they always offer a discount on the first box, such as at M&S where you can get £10 off. Alternative options include Virgin Wines, The Wine Society, Berry Bros and Rudd and The Daily Drinker. What about the booze cruise? Hiring a van and getting on a P&O ferry to Calais to stack it full of wine used to be a cultural right of passage. The favour for the activity rises and declines depending on the exchange rate. If Euros are down, wine becomes cheaper and demand for booze cruises rises. If the Pound is down, as it was post-Brexit, booze cruises fall in demand. Taxes also explain why it can be a popular exercise. As Kate Palmer in The Telegraph explains, taxes in Britain on wine are an astonishing eight times higher. We pay over £2 of tax on a bottle of wine, compared to just 23p in France. This is why when you're on holiday in Europe, wine can be so cheap and yet so good. Plus, we then pay VAT on top of that. Germany, Spain, Italy and Portugal all have no excise tax at all. In the latter, Portugal, VAT is only 13%. But popping over the Channel to buy a single bottle of wine doesn't add up. Instead, it needs to be a large purchase order perhaps for a wedding or party. For as long as you don't intend to sell the wine, there is no limit to how much you can buy and there are no import taxes. If you are tempted by a Booze Cruise there are plenty of deals to look out for. Calais Wine, for example, will pay for your Eurotunnel if you pre-order £300 worth of the stuff. To see the latest wine deals from our community of bargain hunters, head to our dedicated wine page. Sorry, too drunk to comment! My husband and I drink a bottle of wine between us at our evening meal every night. So a good bargain is best.